“We invent, design, manufacture, sell, support and teach just about anything that has to do with the control, protection, automation and use of electric power.” Edmund O. Schweitzer, III, founder of Schweitzer Engineering Laboratories, Inc.
SEL’s expertise lies in Electrical Power, and it has many maritime references from the U.S. Navy, offshore and floating power sectors. 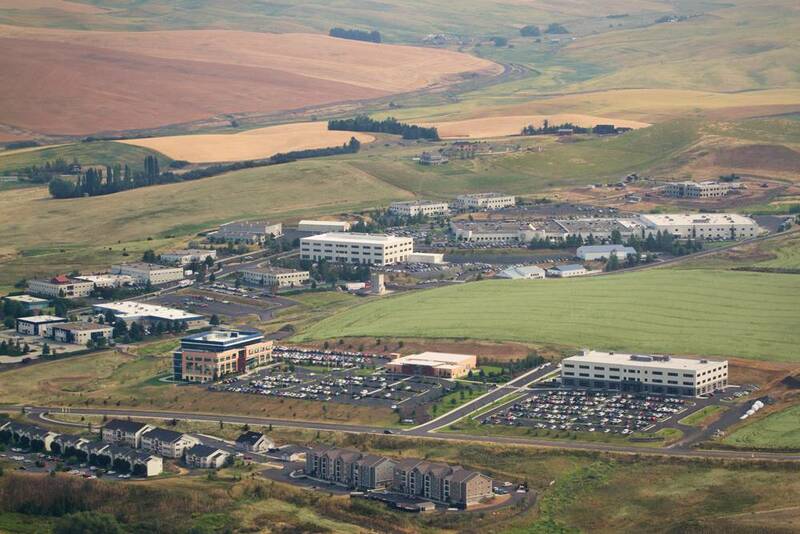 SEL’s sprawling campus in scenic Pullman, Washington, is a testament to rapid but controlled growth, and a never ending investment in R&D and technology. Inventor. Builder. Entrepreneur. Optimist. Take your pick, and you have described Edmund O. Schweitzer, III, founder of Schweitzer Engineering Laboratories, Inc. (SEL) in 1982. Starting in his basement with an idea and a plan, he has seen his start-up blossom into a global electric powerhouse that is making significant inroads in the maritime and offshore markets. To its core Schweitzer Engineering Laboratories, Inc. (SEL) is an engineering firm that seeks to not only develop and deliver engineered solutions per its client’s need, but to take its broad base of engineering expertise and apply it across industries, to solve problems known, as well as those not yet conceived. 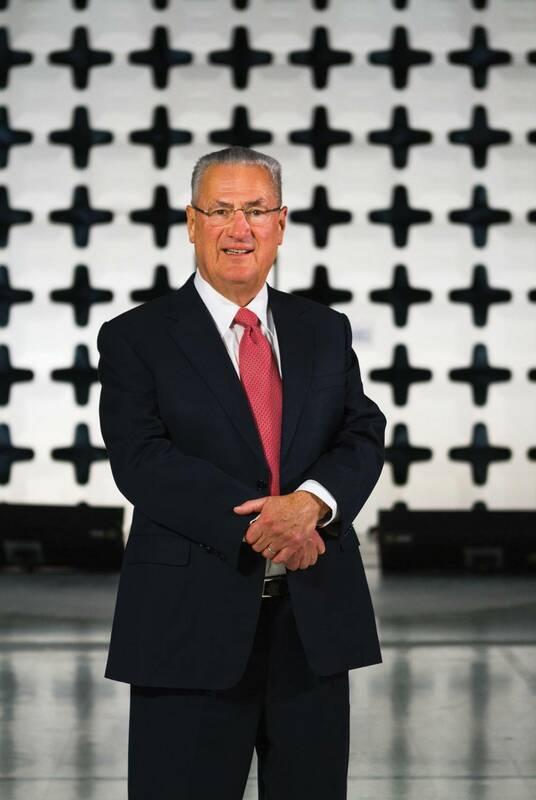 To its core SEL is an expert in all matters electric, living daily its mantra of “Making Electric Power Safer, More Reliable, and More Economical.” While the founder and president’s name is the company’s too, SEL … to its core … is all about its employees. It is 100% employee owned with more than 3,600 employee stakeholders filling 50 offices in the U.S. and another 40 offices worldwide, serving more than a dozen industries, including a high profile role in the U.S. Navy’s Makin Island (LHD 8), and various commercial endeavors in the offshore energy and maritime transport sectors. We spent the day with Schweitzer on his vast Pullman, Washington, campus to discuss the history and future trajectory of his company. For the benefit of the readers of Maritime Reporter & Engineering News, can you tell us how this all started? So I decided to try it and began first as a consultant, as I wanted to save enough money to maybe one day start a company. I finally decided to try and make it work, so I went down to half time at Washington State University and in our basement essentially commercialized the work that I’d done at WSU, turning it from laboratory prototypes to commercial products. The first order came from Otter Tail Power Company in Fergus Falls, Minnesota, which bought the first units simply as fault locators; we had set out to make a digital protective relay, but maybe nobody was going to trust their power system to protective relays made by a professor in his basement! So they put them in, tried them as a fault locator and figured out they were pretty good relays, too, and they were also the first protective relays that anybody could communicate with. I knew that by putting a serial port we could communicate with them remotely, which was kind of a neat advantage because you could tell where a fault was before you sent out a line crew. Previously, people had no idea (where the fault would lie), and they literally would fly the line with helicopters or drive it (to find the fault). Were there concerns about security of the device, of the power line, in those early days? Putting a communication port in and using a modem and then a telephone line opened up the possibility that somebody else might either happen onto, or look for, the protective relay. So even in 1984, the very first units that we made had two levels of password protection, so you couldn’t do anything if you just ran across it. You would have to put in a first level of password to look at any information, and after that, a second password that would give you access to changing the settings. So even from 1984, we had considered cyber security, which is what we call it now. You have a very broad product and service offering. How would you concisely describe your company today? We invent, design, manufacture, sell, support and teach just about anything that has to do with the control, protection, automation and use of electric power, whether it be in electric power utilities, or generating facilities, factories, or, of course, ships and offshore structures. That is the bread and butter. Out of this have come any number of technologies and products that are useful, not only to the industries I mentioned, but to many others. For example we have developed our own computer for use by electric power utilities, a computer for use where we needed a broad temperature range and a very high level of reliability. We didn’t want maintenance issue such as fans. So now we have great computers, computer technology that could be used anywhere. You start to think about what can you do with a perfectly silent computer, a computer with no fans in it, and a computer that gets rid of its heat with some really clever heat pipe technology. That means you could put the computer in a recording studio, or a broadcast studio, for example. Or its high temperature rating and no fans means you may not necessarily need a server closet with special air conditioning. So it’s interesting how the technology from one industry starts influencing others. So when you look at the company, how is SEL the same today as it was when you started? It’s the same values. Many of the same customers. Otter Tail Power Company was our first customer, they are still a great customer today, and there are many others. Also we have a strong sense of creativity and inventiveness … a ‘can-do’ attitude in that we realize there are many things that we haven’t done before and we are going to keep learning and figuring out ourselves. As an engineering company, I would think that would be a good cornerstone. Yes. I guess one of the things you could say is that our middle name is still “Engineering.” Another point that is the same, and important, is that the products are made in the United States. We do have an operation in Mexico that makes modular control houses, but that we started to serve that market in Mexico, not to chase cheap labor. Today that outfit exports to 30 countries itself. Looking at the U.S.-made portion of your program, as you have seen companies go off and chase cheap labor, in your mind, how do you do it? How do you stay competitive as a U.S.-made manufacturer? I have never seen any value in the proposition of chasing cheap labor. 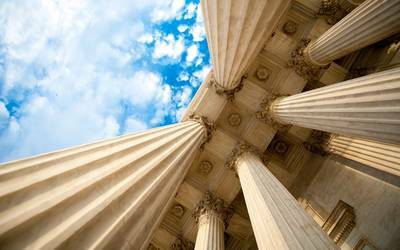 The objective that we need to have first and foremost is to serve our industry. If we focus on that with quality, reliability, fair prices and unquestionable ethics, then our customers appreciate that. We start there. And then labor – or call it activity – is just an ingredient of that. If you work for me, it is part of my responsibility to make sure that whatever you are doing is worthwhile. So for us to find new ways to automate things is very much in line with that philosophy. If some people in those early days were building things by hand, think about what a step up it was for their work when we got the first solder machine. So instead of soldering each connection by hand, these folks were not laboring, they were now operating a machine. So then, that starts engaging their mental processes in the running of that machine, and the value of their work goes way up. So the more you do that through the processes of business – whether it’s building a relay or designing a complete electric power system – we look at how we can we make the value of that work go up while keeping downward pressure on our own prices. With that strategy we have been able to be very successful. We have been profitable every year. When you look at your history, over the scope of your company, what one technology do you think has had the greatest impact on your business to make it more efficient? In what regard? Or better yet, what is your definition of automation? Well, I guess I could answer the question about five ways and I’d give it some thought so I could give one answer. When we start out, you want to be able to do something more or less by hand. To become more efficient involves robustness, repeatability and a high level of quality. And there’s no way that you can get there without automation. So, looking back then, how is your company different from when you started? Today we are 100 percent employee-owned, which is really very important to me. Because it gives the company an ownership model that I believe is certain for the future. That as time goes on, somebody else would own the company and I really wanted it to be the employees because they are all so invested with their time and work. I want to make sure that they benefit from it, not only in the short and medium run with their paychecks, but in the long run, benefitting from the real value and commitment that they’re involved with every day. SEL is a large company, but you operate in a field inhabited with global titans. How do you compete effectively? There are so many examples that I could give, but I think the general one is that SEL sticks to its values, and one of our values is integrity. If our customers ask us a question, we will answer it honestly, to the very best of our ability. I believe our customers know if they come to us that they will get an honest and respectful answer. It may not necessarily always be the information they want to hear, and whether it ends up good or bad for us, it will be the truth. I don’t want to imply that someone else wouldn’t do that, but I think our customers really hold us in very high regard. We are really straight shooters. SEL is a great story. Ten years ago you were 400 people, and today 3,700. What was the impetus to drive that growth? Is to make electric power safer, more reliable and more economical. As maritime, offshore and subsea are my primary points of focus, can you provide insights on the role those markets play in your company today and the potential you see. Electric power is the most convenient way of distributing energy. So when you are trying to control energy reliably, carefully and quickly, electric power is perfect for that. We are experts at the control and protection and automation of all things electric. So when you are trying to control energy reliably, carefully and quickly, electric power is perfect for that. 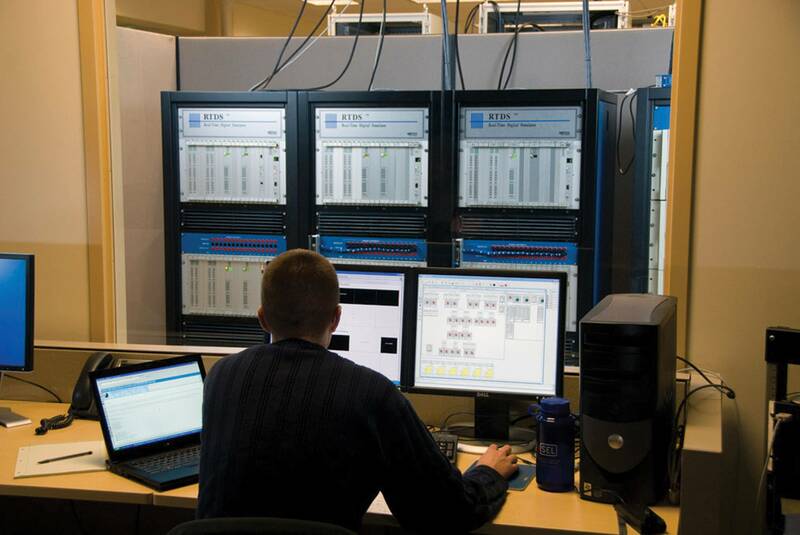 We are experts at the control and protection and automation of all things electric. 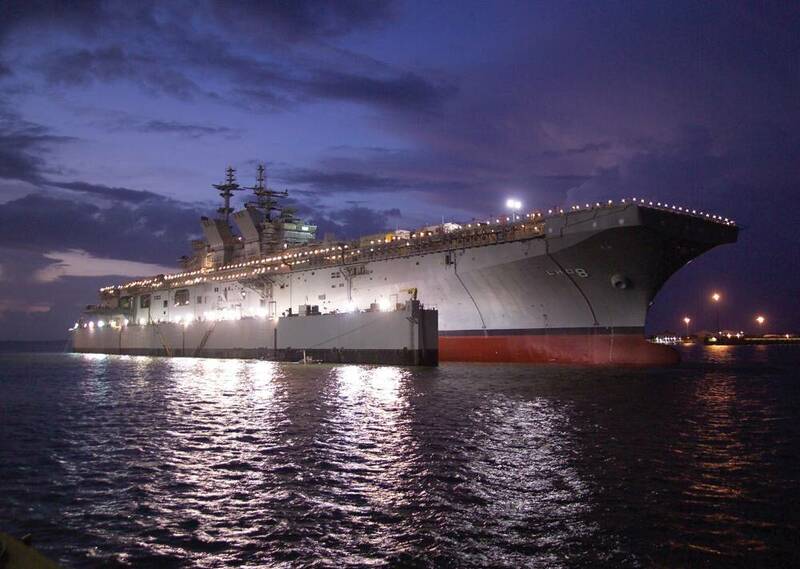 So in the Navy and other maritime areas, the loads on applications and electric power on ships is growing today. It becomes a wonderful opportunity, but as it grows there are new kinds of protection and control problems that the shipbuilders will encounter. Is your business cyclical? How did SEL weather the global economic storm of 2008/2009? The utility business tends to be not very cyclical. Increasingly the economies of countries in the world’s are linked, so they tend to move together. But in the electric power industry, for the most part, the cycles are very shallow. Then the bottom falls out of the U.S. economy, in 2008 and 2009. What happened here? We saw a little bit of a pullback, but we still grew and we were still profitable. The pull back we saw were customers who had plans, but then decided that they would wait to see if they could get the government to subsidize it with the ARRA money. I always ask a question about investment, and that seems actually stupid in this case because I walk around here and I can see where you’re investing. And I walked through the R&D facility, which I understand is new, including the amazing three story test chamber. Isn’t that incredible! I think the new research building was about $10 million, and add another $2 million on top of that for the chamber, as well as another $5 million of equipment in the building. I know you are a private company, but can you quantify for me the annual expenditure on R&D? When you walked through the front door over there (at the new research building), you probably saw on the floor a saying; “The best way to predict the future is to invent it.” So that ought to give you a really good clue about how serious we are about that. The percentage of sales that go into our R&D is in one word “impressive.” And I look at industry trends of what other companies invest in R&D and it’s… it’s something to be very proud of here. Is there any big investment on your horizon right now that you’d like to discuss? Yes, a fun one. That is our SEL Family Center. I guess that would follow on with your honor in 2012 being named by Fortune Magazine as one of the 100 Best Places to Work? So can you discuss your overarching philosophy on finding and keeping good people? There’s all kinds of aspects to this. We are not just hiring engineers – we need every walk of life. But people want to feel safe. They want to be challenged. They want to be appreciated and be a part of something that’s important. Also, being well-compensated is a part of being safe. So we do really well on all of those things. The company pays well, and now will have the benefit of being able to take our kids there, too, right? Of course, people have to pay for that benefit, but it’s right there and it’s a high level of quality and it’s under control and people can go see their children at lunchtime. There’s just a marvelous thing about living in a community like this and being close to your family and to work. The employee ownership is a big deal in that people aren’t “renting” their jobs here – they’re “owning” them. The contribution to the ESOP has been huge every year. It’s been a major, major part of people’s compensation, which means that their retirement security has grown. And we’re old enough now where there are a few people that do retire. Most of them are younger than I am. There is a woman who worked here as an assembler since almost the first days of the company and she recently retired after 30 years. And she retired very comfortably, thanks to the employee ownership. And the work is interesting. We make sure that the engineers and the production people have the best tools and the processes to do their work with, so you’re not trying to dig a hole with a teaspoon when you need a steam shovel. You have been very gracious with your time, and I have just one more question. Every business has its challenges. What is the biggest challenge in your business? (Long pause) Well, I guess I could think of a whole bunch of little things, but those are things you just work on every day. If you say what’s the “biggest”… I don’t know. I guess I’m a pretty optimistic kind of a guy. I like to keep looking forward and anything that might be a challenge ends up right over there in the opportunity pile. There are just so many opportunities. Maybe the biggest personal challenge that I have is to make sure that I’m imparting the enthusiasm and the fun and the value of what we do for people around the world in all kinds of industry, when it comes to the safe, reliable, economical, generation and distribution of the use of electric power. Edmund O. Schweitzer, III, founded SEL in 1982 in Pullman, Washington. The company introduced the world’s first digital protective relay to the electric power industry in 1984. That same year, Otter Tail Power Company in Fergus Falls, Minnesota, became SEL’s first customer. The first SEL digital relay, the SEL-21, revolutionized the power protection industry by providing fault locating and real fault data at a much lower cost to the customer than traditional electromechanical relays. With the introduction of the load-encroachment element for feeder protection, synchrophasors as a standard feature in protective relays, and MIRRORED BITS relay-to-relay communications, SEL continues to set the standard for technology. In 1994, SEL became an employee-owned company. In 2009, it achieved its goal of 100 percent employee ownership.